So let's go back to last night... once we had our date night picnic, we headed inside to finish our film, and watched a couple of others before we realised it had got super late! 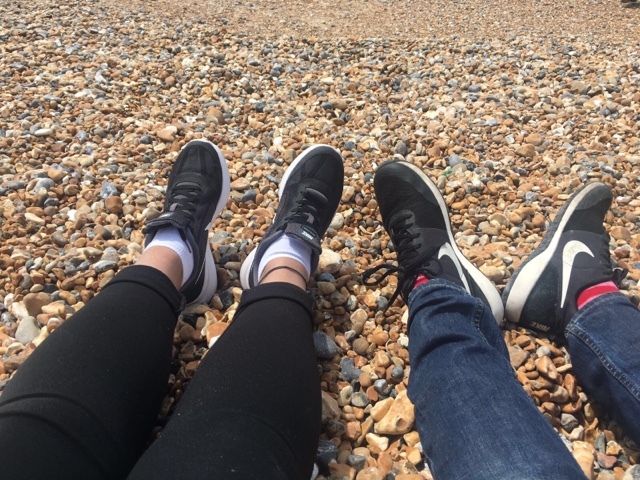 It was around 2.30 when we decided that we should have a day out and go to Brighton! We woke up at 8, left the house at 9 and left London Bridge station at 10 past 10, arriving in Brighton an hour later. First stop was the beach as we were scared the sun wouldn't last - the weather was forecast to be hot but not that sunny, but we were lucky enough that it turned out to be glorious for most of the day (it rained just a tad). You can't go to Brighton and not go to the pier so that's where we went next. Jessica won a fish teddy and I was tantalisingly close to winning another massive Panda - watch our vlog which will be up on Monday to see how we did it! 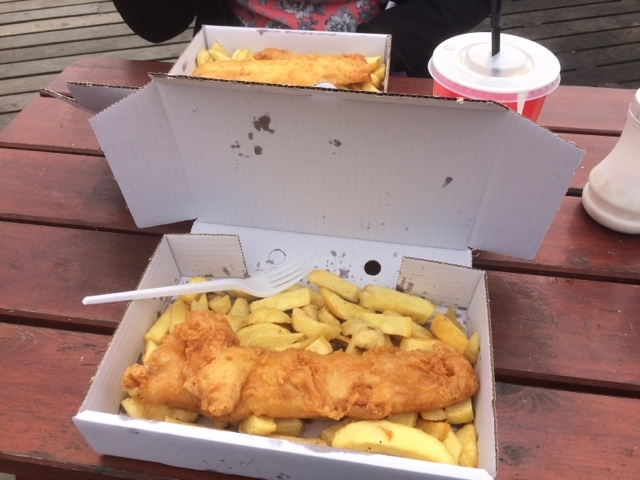 Despite James' new efforts to eat healthily, fish and chips is another order of the day whilst you're at the seaside, so this was our lunch which we also had on the pier! A cheeky seagull had a cheeky swipe at Jessica's fish! Hilarious! Next up was a stroll around the lanes but to be honest, we ended up mostly in shops which you could find anywhere - I bought some sunglasses from Jack Wills, and Jessica bought a GoPro memory card from Jessops, along with some stuff from Boots. 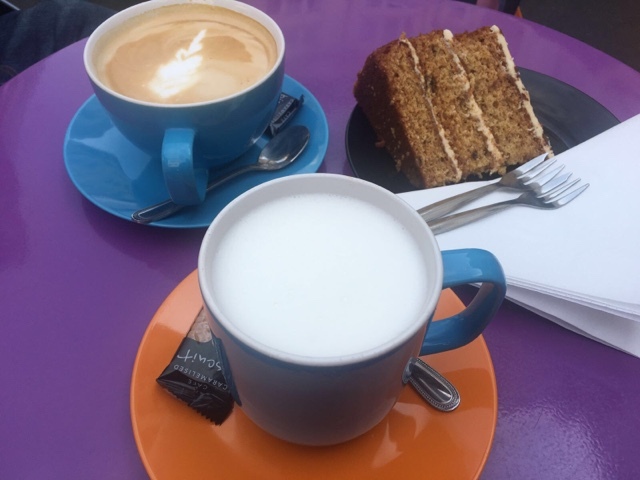 Earlier in the day we had spotted a cute looking place called Scoop & Crumb, so walked back when we fancied some coffee and cake. It's known for it's ice cream, but having had some at the start of the day, cake was what we chose instead! That sticky toffee cake was beautiful! We have been missing out coffee since we left Sheffield, so a regular latte for James it was, and Jessica's slightly different white hot chocolate was also lovely! After another quick chill on the beach, we made our way back to the station for 5.30. James has an important date in front of the tv for the England game tonight, so Jessica is taking the opportunity to visit some family. We should definitely have these spontaneous trips more often! 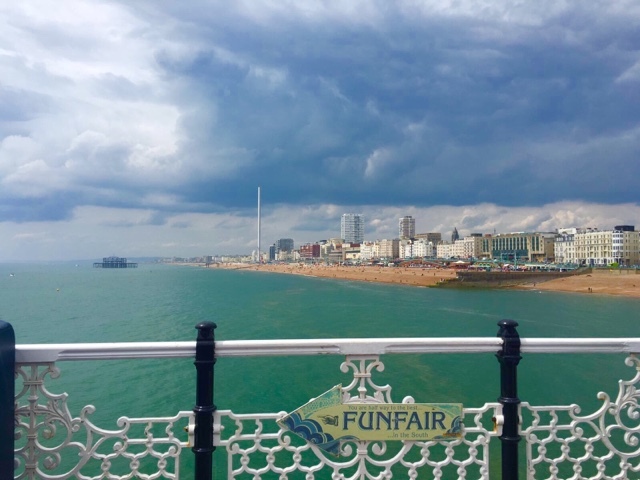 Considering Brighton is only an hour away and only cost us £14 for both of our return tickets, it's a great summers day out that doesn't need to break the bank!